After yesterday’s lack of running, it was satisfying to get 43 laps under MP4-29’s belt during the course of a productive day. Overnight rain, coupled with the decision to douse the track with sprinklers in order to enable Pirelli to evaluate its 2014-spec wet-weather rubber, meant that the team spent the morning conducting installation checks on a damp track, using both Inter and Full-Wet tyres. By lunchtime, the track had dried completely, which coincided with the team ramping up the mileage, beginning a steadily lengthening series of runs to monitor power-unit behaviour. While the tone of the day was still exploratory, the team were satisfied with the respectable amount of mileage achieved today, and the solid and predictable platform provided by the MP4-29. 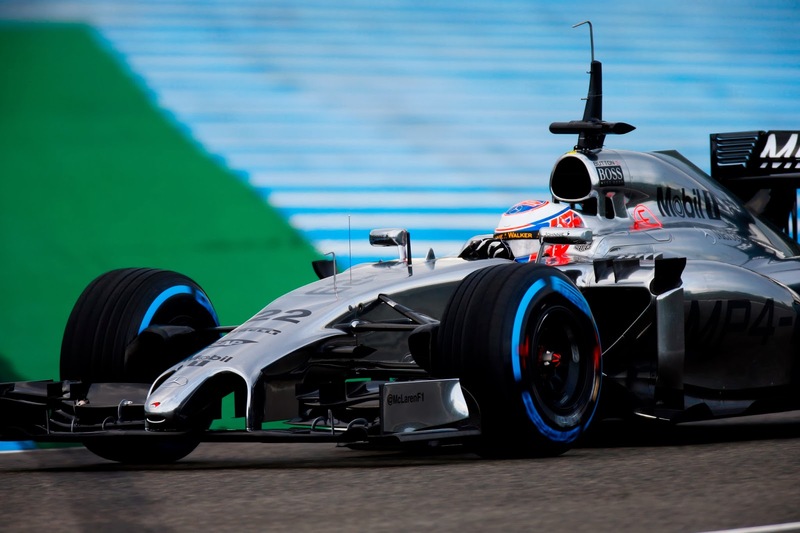 Jenson said: "For our first day of actual running, we were able to get a good understanding of the car, and the way the engine and turbo behaves. It’s tricky, and very different to what we’re used to, but I could feel that these cars will be enjoyable to drive. "Of course, it’s still early days, and there’s a lot of work ahead of us. We need to work on both braking and traction; but that excites me, because there’s a lot of potential to adjust those parameters. The new braking system is very complicated, and getting it right will be tough. "But these are all things we can work on: there’s nothing about the car that unsettles me, and there’s plenty of scope to explore the set-up. It will just take time. "Our main aim this winter was to field a reliable car that would give us a good baseline. These cars will develop so much over the next few months, so it’s essential to have a solid base to build upon; and I think we have that good base." What's next: In a change to the schedule, Jenson will extend his running into tomorrow morning, passing driving duties on to Kevin at the most convenient break in the programme. Tomorrow’s session will once again be about conducting initial evaluations into the behaviour and reliability of the MP4-29 and its power-unit.